Microsoft said it updated its OneNote apps for both the Apple iPhone and the Mac, facilitating OneNote's mission as quick-and-dirty repository for notes and images you can add yourself or find elsewhere on the Web. In March, Microsoft released OneNote for the Mac (see our impressions, here) and made the app free for Windows users. On Thursday, the company added all sorts of little features to bring the Mac app up to parity with its Windows cousin. OneNote is often considered to be Microsoft's answer to Evernote, with its legions of fans addicted to jotting down notes, to-dos, and collecting digital detritus from around the Web and storing it one place. 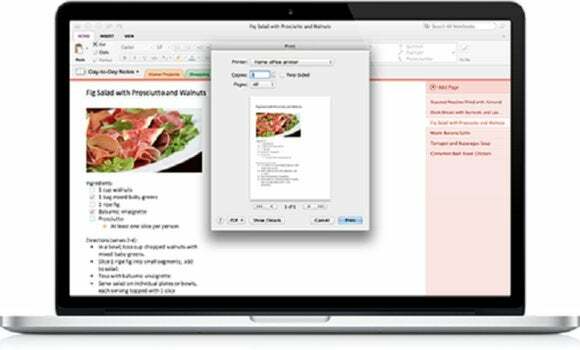 With that in mind, the new OneNote for Mac update allows users to organize hyperlinks with short descriptions, drag and drop images, and print notes. OneNote for the Mac also stole a page from other Office applications with Format Painter, or the ability to simply "copy" the format of a range of text and apply it elsewhere on the page. The new update also allows users to copy and paste content from elsewhere, preserving the formatting. Microsoft also said the OneNote for the iPhone update frees the app from the Mac, allowing it to create its own notebooks. "This means that you can now create a new notebook, share it with others, and get on the same page–all from the convenience of an iPhone," Microsoft said. 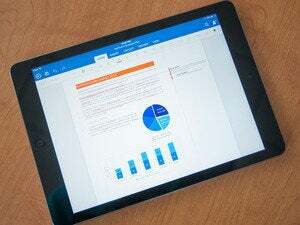 Microsoft also added Office Lens to the iPhone, one of the niftiest features of OneNote. Office Lens turns the iPhone into a portable scanner. Take a picture of a brochure, for example, and it automatically reformats it to best effect. Even better, Office Lens for the iPhone includes optical character recognition (OCR), which can take that brochure and turn it into editable text. If you already have OneNote on your Mac or iPhone, you can visit the respective App Stores to download updates. If you don't, you can either hunt down the apps yourself or visit OneNote.com.